Distributed Denial Of Service Or DDoS Attacks. On 15th 13:44:50 GMT some started DDoS attack on our server and continued till 18th morning - and for the first time Learnhomebusiness.com was out of action for 72 hours. It was in early 2000, that most people became aware of the dangers of distributed denial of service (DDoS) attacks. Popular Web sites Yahoo, CNN and Amazon were targets and were off the air. More recently, DDoS attacks nailed clickbank.com and spamcop.net. Many people still think that any company today could stop a simple DDoS SYN attack. Wrong. There are many methods of attack. These two resources will enlighten you more about DDoS attacks. Visit here for a simple tutorial. You can download white papers from here. Let me also apologize to you for the emails that went unanswered and customer problems not handled with peak efficiency during this trying period. Important: Developing your very own products is the simple way to make great money online - requirement is you must be a Proactive guy. My experience has shown that to make a decent living from the Internet, you need to own digital products that you can resell and keep 100% of the profit to yourself. Period. Software is still the #1 selling digital product on the Internet. And here's is totally beginners guide that teaches you the process of software development, idea generation techniques, how to design your own software and deploy (sell) them. 2. Money duplication. We need help on how to multiply our existing money. Now that more people have learned that a two-income household isn't enough to make it, we need information on how to leverage what we have left. 4. Pet training. Many people are choosing to make their best friend a pet. But they don't know which pets are the best for their living condition and they don't know how to train their pets. This includes the average dog lover as well as those interested in exotic animals. 10. Home Gardens. People want to know how to improve their home, create a garden, build on rooms, fix broken appliances, and so on. Good information on how to be a home and garden handyman (or handywoman) will sell. #1- 306 Web design templates. I have added a very useful product to our stables a few days back. It should be useful to you - if you aspire to design a website at zero cost. The rate is affordable and I have thrown in bonuses worth USD 222.77. #2- eBook Creator Toolkit by Jimmy D Brown. Here's another useful product to begin writing your own eBooks. This software does the compiling for you and it comes with a thorough pictorial tutorial by Jimmy himself. One of the lowest-rates for an eBook compiler and it includes my own special bonuses worth USD 126.89. 1. Smart Page Creator/ Generator -- Zero-Cost: Create smart pages based on the 'SmartPage' concept to get top 10 positions on search engines. 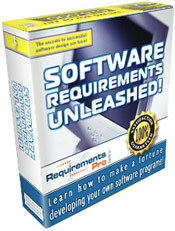 Companies charges about USD 97 for software like this but here is a utility that does the job at zero-cost for you. 2. Smooth Ad Generator: Here is a tool that help you to build PopUps that cannot be blocked. PopUp blocking is adopted by many ISPs like AOL etc. Google toolbar has it. Add to it the PopUp blocking software installed in the PCs. Its a grim scenario for an online marketer who almost always relies on PopUps to build his prospect-list. You will find this really useful. 3. Web Traffic Secrets - eBook: The author Jaclyn Easton has done a good job. He outlines 17 innovative ways to bring more visitors to your website. And refreshingly, this eBook is completely devoid of any affiliate sites that the author wants to promote. Well. That sums up the first fortnight of Jan-2004. Do not Forget To Rate 'HomeBiz-Tips'. Your valuable vote helps us to improve this E-Mag as well as allow us to keep it Ad-Free.